"people want to invest, they want to be successful.......they need to have big dreams, and grit....and of course, knowledge and mind set." Investors, speculators and selling ice to Eskimos. Speculators try to benefit from the short term movements of share prices. What you don't want to do is Sell Ice to Eskimos. ......like buying EWI now. No use, wasted effort more likely. - Are u investing ? -Are u selling Ice to Eskimos? There are 2000 shares in Bursa, selling ice to eskimos is a lousy strategy. You cannot buy a lot, u dare not buy a lot, and makes no sense to buy a lot. Forget it. Contrarian play is different from Selling Ice to Eskimos. Contrarian play is when you really know your stuffs. You are good and u are confident you are good. Contrarian play , u dare to buy a lot , even if the market moves against you in the short term. 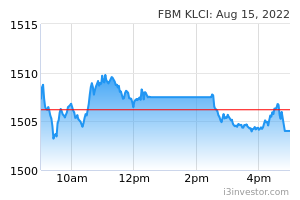 Speculating / trading...........Perdana 250 million shares by 3.00 pm......U trade because u see a way to make money. Invest, trade/ speculate but don't sell Ice to Eskimos. And a flexible variable holdings for speculations / trading. ala OG nowadays. speakup selling ice to eskimo is like selling condoms to orang asli? qqq3 selling condoms to orang asli...............u mean localised version? speakup dudue i've no idea what u mean by localised version. deMusangking dun talk rubbish lah!!!!! qqq3 like i buy Perdana, son of Dayang, this morning. qqq3 whole market, no OG shares how? Can sleep already if no OG shares. UnicornP Be grateful you're living in Malaysia which has the most diversified industries in the world. forum is forum....but no OG shares can go to sleep . qqq3 Investing is participating in the growth of good quality companies. By definition, all speculations / trading is playing the game of musical chairs. See who holds the stick when the music stops. As for Dayang and Perdana, they have very weak Balance Sheets. A restructuring is imminent. Its who holds the stick when the music stops. And who takes the risk and make money while the game is on. SAPNRG IS CREEPING UP O.5 TO 2.0 SEN ALMOST EVERYDAY, NOW IT IS UP TO RM 0.35 MAH.....!! SO HOW LONG MUST U WAIT OR HOW LONG MUST U HOLD THIS VERY UNDERVALUE SAPNRG STOCK LEH ?? TO ANSWER TO THIS QUESTION PLEASE LISTEN TO JON CHIVO LEARNED ADVICE HERE MAH......!! "Despite the irrationality of their participants, their diversity ensures that they are all irrational in different directions, giving a net effect of zero, allowing the wisdom of crowds to prevail over the long term. This ensures that the market is efficient and accurate most of the time. This means that over the long term, movements in share prices are usually in line with movement in earnings. However, this diversity can often undergo phase transition, and thus result in boom or bust in the short term. What is a phase transition? This is where small incremental changes in causes lead to large-scale effects, or the “Grand Ah-Whoom!” moment. What is this Grand Ah-Whoom! moment? Imagine this. Put a tray of water into your freezer and the temperature drops to the threshold of freezing. The water remains a liquid until—ah-whoom—it suddenly turns into ice. Just a small incremental change in temperature leads to a change from liquid to solid. The Grand Ah-Whoom! moment, occurs in many complex systems where collective behavior emerges from the interaction of its constituent parts. And this includes the behavior of the stock market. In complex systems with human beings like the stock market, diversity is the most likely condition to fail first. As you slowly remove diversity, nothing happens initially. Additional reductions may also have no effect. But at a certain critical point, a small incremental reduction causes the system to change qualitatively." THIS MEANS U NEED TO HOLD UNTIL INFLEXION POINT WHERE THE VERY UNDERVALUE SAPNRG SHARE WILL BREAKOUT AND EXPLODE LIKE ATOMIC BOOM UPWARDS LOH.....!! RAIDER SEE THIS NUCLEAR BOOM WILL LIKELY TO EXPLODE SHARPLY UPWARDS SOMEWHERE RM 0.80 AND WITHIN A VERY SHORT PERIOD....WILL TAKE THE SHARE PRICE THRU THE ROOF OF RM 1.00, RM 2.00 AND RM 3.00 LOH....!! THIS WILL BE DRIVEN BY EARNINGS OF RM 3.0 TO RM 5.0 BILLION PA LOH....!